Want to save money and help the environment? It takes a significant amount of energy to run a home. From lighting your basement to heating your shower water to laundering your clothes, energy fuels almost everything you do. Remodeling to save energy is a great reason to consider updating your home and help you make each room more energy efficient. It helps protect the environment and can save you money on costs throughout the years. During your green construction project, reconsider your source(s) of energy. Way to produce energy include electricity, solar power, natural gas, oil, propane, coal, water and wood. 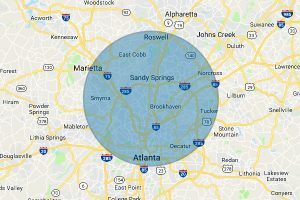 A licensed Metro Atlanta home contractor will help you choose the most efficient ways to power up your home. Your living room is a great place to make some green friendly changes. Ways to save include installing ceiling insulation, cleaning heating and air conditioner filters, installing energy efficient windows with curtains or other coverings and closing off unheated or uncooled areas. You can make your kitchen more energy efficient with Energy Star efficiency appliances, installed new types of fluorescent light bulbs in high traffic area and using the microwave instead of the oven for heating up food. 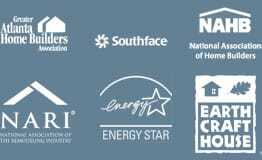 Let a professional energy certifiedAtlanta contractor update your kitchen to be more fun, functional and cost-effective. Your laundry room can be more efficient, too, with an Energy Star washer and dryer. Make sure to clean the lint filter in your dryer before each load. User the auto sensor function on your dryer to save energy. Adjust the water level in your washing machine to match the load size and rinse with cold water to save fuel. 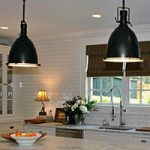 Discuss additional ways to save energy in the laundry room with a licensed Metro Atlanta home remodeling expert. Updated fixtures, such as flow restricting shower heads, use less water and offer maximum pressure. Let a Metro Atlanta home remodeling professional assess your bathroom so you know the latest ways to save water and energy when you wash and flush. Never let leaky faucets or toilets go as water is continually being wasted. Have your heating system evaluated by a heating and air contractor to determine how well it performs. Installing a programmable thermostat to automatically adjust the temperature saves energy. If you have an air conditioning system, the filter should be replaced monthly for optimum performance. Need help with home remodeling to save energy and reduce your expenses. Contact Glazer Design and Construction at 404.683.9848, email Randy@GlazerConstruction.com or complete our Fast Form below.